Pro-Houthi, anti-Saudi demonstrations are expected in the Yemeni capital of Sana’a today alongside 35th-anniversary celebrations of ex-President Ali Abdullah Saleh’s General People’s Congress Party. The Houthis and Saleh’s Yemeni Republican Guard are currently allied together against the internationally recognised Yemeni government backed by Saudi Arabia and its allies. 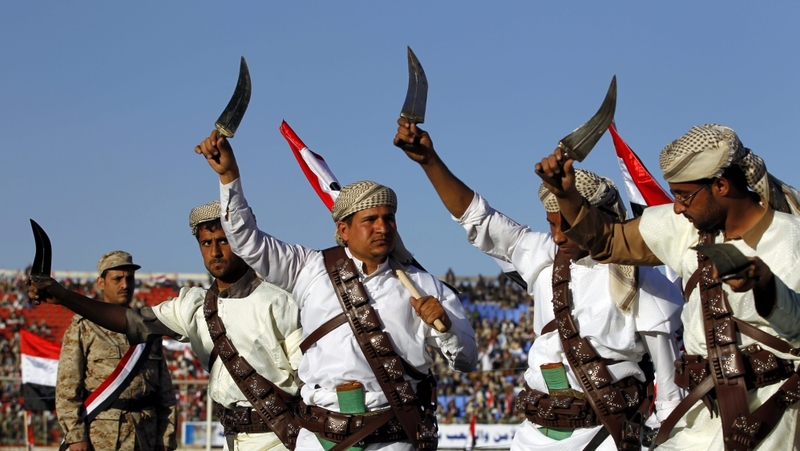 However, tensions between Saleh and the Houthis are on the rise. Having never fully seen eye-to-eye, the parties disagree on strategy against the Aden-based government—leading the Houthis to execute pro-Saleh forces. After Saleh called the Houthis a “militia”, they retaliated further by destroying posters advertising today’s anniversary. The demonstrations may inevitably turn violent, signalling the deepening rift within the anti-government cause. Despite this seeming disadvantage, Tehran has continued effectively supporting the Shiite Houthis with weapons and cash. Meanwhile, a recent study estimated that while Riyadh spends up to $200 million per day waging war within its southern neighbour, such efforts fail to significantly strengthen the Yemeni government’s position —leaving the result a probable stalemate.